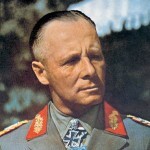 One of the most renowned officers in modern military history, Field Marshal Erwin Rommel commanded the German 7th Panzer Division during the 1940 campaign against France and the Low Countries during World War II. 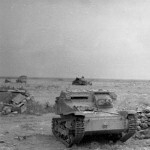 He earned the nickname of the “Desert Fox” while commanding the Afrika Korps and Panzerarmee Afrika during the protracted fighting in North Africa. Rommel later commanded Army Group B in France and oversaw construction of the Atlantic Wall defenses that contested the Allied D-Day invasion. 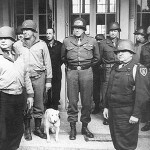 Seriously wounded when his staff car was strafed by Allied aircraft, he was recovering at his home in Ulm when he was implicated in the July 20, 1944, plot to assassinate Hitler. Rommel chose to commit suicide in October 1944, rather than stand trial for treason and risk harm to his family. Field Marshal Erwin led the vaunted German Afrika Korps in the desert during World War II and committed suicide after being implicated in a plot to kill Adolf Hitler. 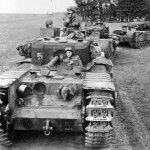 Was Tunisia the Beginning of the End for Field Marshal Erwin Rommel?